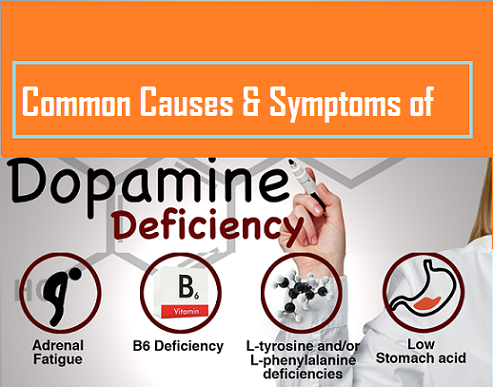 Dopamine is a neurotransmitter that helps send signals in the brain. (Neurotransmitters) are chemicals made by nerve cells called neurons. They’re used to communicate messages across different parts of the brain and between the brain and the rest of the body. 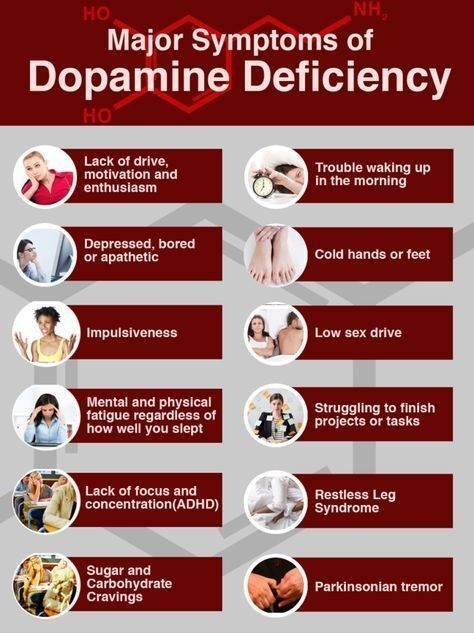 Dopamine is involved mainly in controlling movement. An insufficient production of dopamine in part of the brain can lead to Parkinson’s disease. (Parkinson’s diseases) is a noncurable nervous system disorder that affects movement. It may cause stiffness, tremors, shaking, and other symptoms. 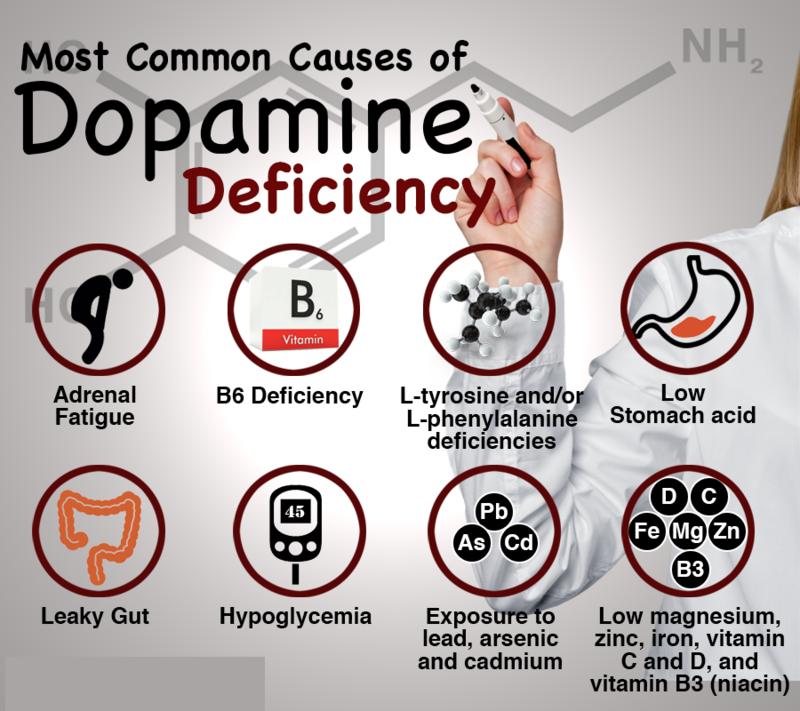 Dopamine is also a neurotransmitter in certain areas of the central nervous system, especially in the nigrostriatal tract, and in a few peripheral sympathetic nerves. 1: Lack of drive, motivation and enthusiasm. 2: Depressed, bored or apathetic. 4: Mental and physical fatigue regardless of how well you slept. 5: Lack of focus and concentration. 6: Sugar and carbohydrate Cravings. 7: Trouble waking up in the morning. 8: Cold hands or feet. 10: Struggling to finish projects or tasks. 3: L-tyrosine and /or L-Phenylalanine deficiencies. 7: Exposure to lead, arsenic and cadmium.